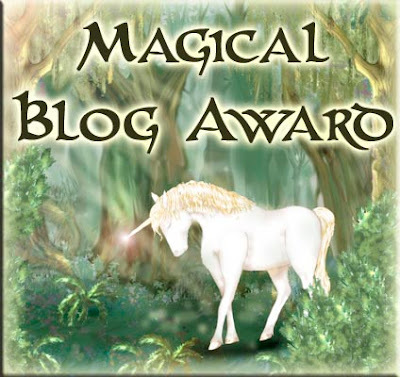 and leave a message nominating your favorite blog for an award. Don't forget to include the link or I'll never find it. The awards can be found on the "Awards" page of this blog. Ya got yer green alligators and long-necked geese. Some humpty back camels and some chimpanzees. Some cats and rats and ellyphants, as sure as your born. What a pretty award! I would love to nominate Dancing Through Life, at Homeschool Diaries. Oh, I desperately loved unicorns when I was small. Currently, I'm moving into a dragon phase. Unicorns! I'm reading The Last Unicorn right now. Wonderful award. There are so many I wouldn't be able to. That's a pretty Unicorn in a nice wood Deirdra. Thanks for sharing! I hoe you enjoy your vacation!